Contact Shedd Aquarium: Find below customer service details of Shedd Aquarium, Chicago, including phone and email. Besides contact details, the page also offers a brief overview of the tourist landmark. One of the most exciting attractions for visitors to Chicago, Illinois is the Shedd Aquarium, an indoor public aquarium that opened its doors to the public in 1930. With an extensive collection of marine animals, the aquarium is home to over 32,000 animals and considered to be one of the largest indoor aquariums in the world. Over two million tourists visit Shedd Aquarium every year to enjoy aquatic wonders such as the thirty species of dolphins, Belugas, Bluegills, Stingrays, Sea Otters and turtles, Sturgeons and many other underwater species from around the world. Apart from presenting to the world a wonderful aquatic panorama, Shedd also plays a major role in preservation of many endangered underwater species and their habitat. Shedd experts scout the country and different locations in the world rescuing and rehabilitating aquatic animals and habitats that are in danger of being wiped off the face of the earth, one such example being the Bahamian rock iguanas. They also work on restoring health of water bodies, making them habitable and sustainable habitats for animals. Shedd Aquarium’s work towards preservation of aquatic life has been recognised by American Humane, the Smithsonian Institute and the Association of Zoos and Aquariums with awards and certification. 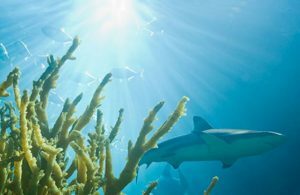 A visit to Shedd Aquarium transports you into the mesmerising underwater world and the incredible sea life inhabiting it. Coral reefs, flooded rainforests, coastal lands, lakes and waves – all in the course of your visit to Shedd. The exhibits that one could visit are Amazon rising, Polar Play Zone, At home on the Great Lakes, Abbot Oceanarium, the Caribbean Reef, Wild Reef and Waters of the World, where one could enjoy the colourful life and beauty underwater. There are cafes and food courts which provide snack and dining options and also a designated eating area on the North Terrace with vending machines for snacks and beverages. Visitors could also picnic on the lakeside lawn. General admission for adults costs $39 and for children between the ages of 3 and 11 is $29. Chicago residents have a reduced rate of $19 for adults and $14 for children between ages 3 and 11. This ticket includes all exhibits, animal presentations and Stingray touch. However, there is an additional charge of $4.95 for a 4- D experience upgrade. Visitors purchasing the Chicago CityPass can avail tickets at a massive discount. Shedd Aquarium is open from 9.00 am to 5.00 pm on weekdays and up to 6.00 pm on weekends. Shedd Aquarium organises a number of learning programs for youth, teens and educators. The Events page on the website also has details on the special events and the dates. There are also a number of experiences that make visit to the aquarium unforgettable. When you visit, you can attend a dive session, enjoy 3-D visuals with live multisensory effect and even touch a stingray, sturgeon or sea star. If you are a lover of aquariums, ask for a membership to receive receive complimentary access to all exhibits, get discounted tickets to 4-D Experience, discounts at stores and restaurants, and receive invitations to exclusive members events. For more information or queries on tickets, timings, payment, refund, parking, career, or others, reach the Shedd Aquarium support.